BOTOX® is turning out to be something of a wonder drug… We all know that it’s the gold standard for treating fine lines and wrinkles, and that it’s very effective for treating migraines, and excessive sweating. But now, BOTOX is being used to slow the rate of hair loss with male pattern baldness in younger men, and for thinning hair in women. Dr. Nicholas Vendemia performs BOTOX for hair loss treatments for men and women in the New York metro area. 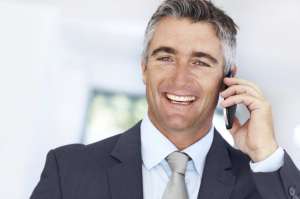 We encourage you to contact us online or give us a call at 917-703-7069 to schedule a visit. Dr. Vendemia is a leading cosmetic surgeon in New York City with a reputation for custom care and beautiful results. Studies show a dramatic decrease in Hair Loss. 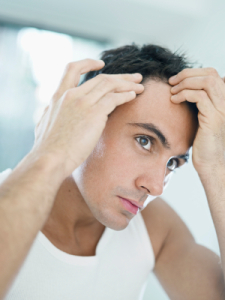 In a research study, 75% of men who received BOTOX injections to their scalp every six months experienced a 20% increase in hair growth, and a 40% decrease in hair loss after two years of treatment. The study participants received two injection sessions per year spaced 6 months apart with doses ranging from 100 to 150 units for each treatment session. BOTOX seems to be a great way to add some additional effectiveness to topical treatments like Rogaine, and to oral treatments like Finasteride, and also to be an excellent alternative to expensive surgical treatments like hair transplantation, especially for younger men in the beginning stages of male pattern baldness. Can women be treated with Botox for thinning hair? The research study presented here did not include any female patients, but it is reasonable to infer that women may expect similar benefits from Botox treatments for thinning hair or hair loss. There have been several reports around the country of successful treatments in women. For more information about Botox for Hair Loss, please give us a call at 917-703-7069 or send us a message to schedule a personal consultation with Dr. Vendemia.